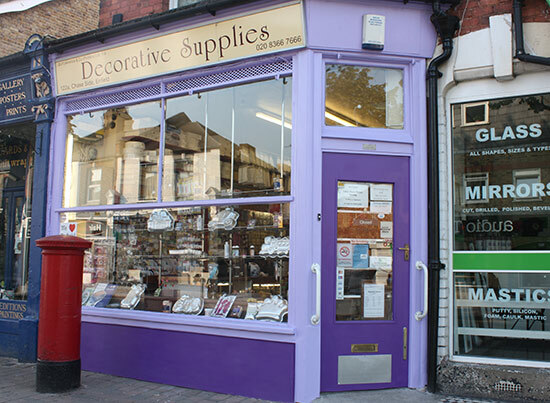 Decorative Supplies, based in Enfield, are a small family run business which has been trading for over 40 years, much of that time specialising in cake decorating supplies and equipment. We can supply cake boards, drums and boxes; sugarpaste and other more specialist pastes; concentrated food colourings; sugarcraft equipment; cupcake cases and boxes (both regular and mini); a large selection of decorations both edible and non-edible, as well as an extensive range of other equipment and supplies suitable for both home bakers and professional cake makers. We also hire a large range of cake tins and cake stands. At Decorative Supplies our aim is to bring you a large range of quality products, at reasonable prices. We are always willing to give advice and guidance if requested.